Throughout the course of my career, one issue that has remained close to my heart is encouraging women to pursue careers in medical leadership and clinical practice. As a woman in medicine who trained over 30 years ago, I have seen a lot of changes. First of all, in my day, only a few women enrolled in medical school and tackled residencies of every other night on call. And fewer women aspired to an academic fellowship and career. It is exciting for me to see how much this has changed—today nearly 50% of medical students and 30% of practicing physicians are women. I was giving Surgery Grand Rounds last year to residents and noticed that it seemed like the group was mostly women. Now that is really a change! Hopefully, my experience is not that which young women face today. As an example—though I always had a passionate interest in academics, particularly oncology research, the then Chairman of Medicine at my institution advised me to “go into family practice.” Not that there is anything wrong with that—it just wasn’t me. Fortunately, I did connect with great mentors who recognized my drive and thirst for knowledge and encouraged my pursuit of research goals. They were more forward-thinking and provided invaluable support; they include: Dr. Warren Ross, of the University of Florida College of Medicine; Chief Resident Dr. John Murray and Dr. Dave Johnson, both of Vanderbilt University Medical Center; Dr. Marc Lippman, of NCI; and Dr. Bernard Fisher, of NSABP [National Surgical Adjuvant Breast and Bowel Project]. They believed in me, and I found that I needed that kind of belief to take on not only the demands inherent in our profession, but also the demands that come from breaking professional barriers. 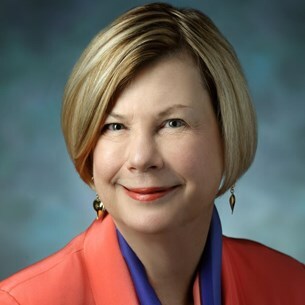 Today, when I hear the story of Dr. Jane Wright who was one of the founders of ASCO, I am truly amazed at her vision, courage, and fortitude in blazing her own path and advancing the field of oncology in so many ways. I want women to pursue their own passions and follow their own strengths and interests. And as a shortage in oncology professionals looms over us—it’s only wise to develop all the talent and nurture all the passion that we can find. There are many ways to develop a career and still have personal goals. I have worked with many fellows in my career, most of whom were women. I am truly inspired by their strength, assertiveness, resilience, and courage to have a career in medicine and have balanced personal lives. I find myself wanting them to not feel guilty and not to try to do it all. The great thing is that there are more options now—it is possible to work part-time or work in an environment with more controlled hours, and more men are stay-at-home dads. There are many ways ambitious career goals can be achieved while raising a family. To me, this is a sign that we are in the midst of a culture change which will be better for everyone. My message to women who would like to pursue a career in oncology is this—examine your soul, figure out what you really want to do, what it takes to do that, and then do it. Don’t do it because you think you should do it! It comes from within. In fact, that is a message that I hope can resonate for anyone with an interest in our profession. We need—and patients with cancer certainly need—your compassion, nurturing, curiosity, and intelligence. Go for it! It is great to see intiatives where we can find solutions for improving care in developing countries. I have been volunteering in India for the last 18 months and feel the need to have means by which patients can have access to drugs and also clinical trials. This would be a win win proposition for both the trials and for patients in developing countries. I would appreciate it if Dr. Swain has any comments about this issue and how things can be made better.